Who is ready for spring? It's been a long winter and I just want sunshine and cherry blossoms! 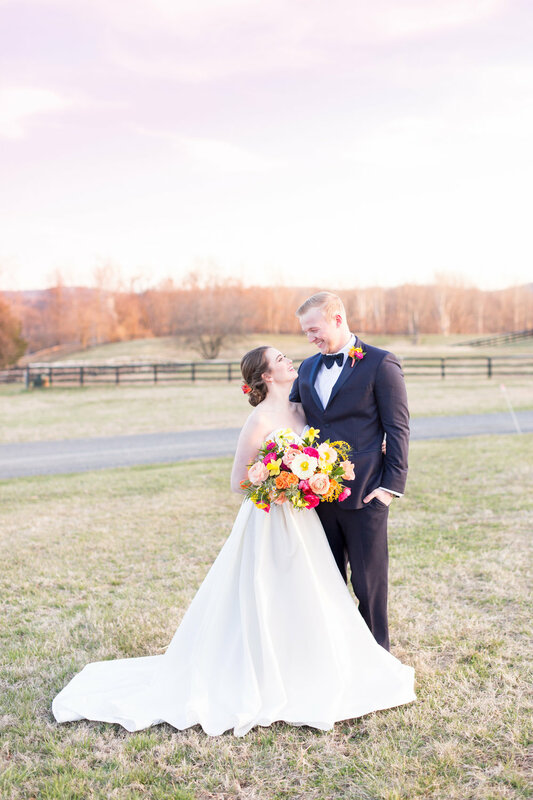 If you are in need of a little cheer too, dive into this glorious shoot of wedding inspiration we did at the beautiful new Middleburg Barn at Fox Chase Farm. 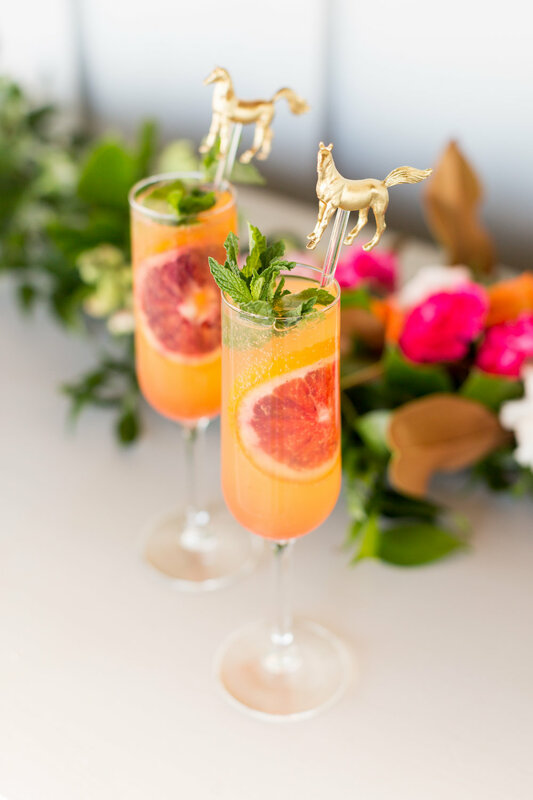 Our inspiration was citrus fruits, horses, and a happy color palette of yellow, orange and pink. 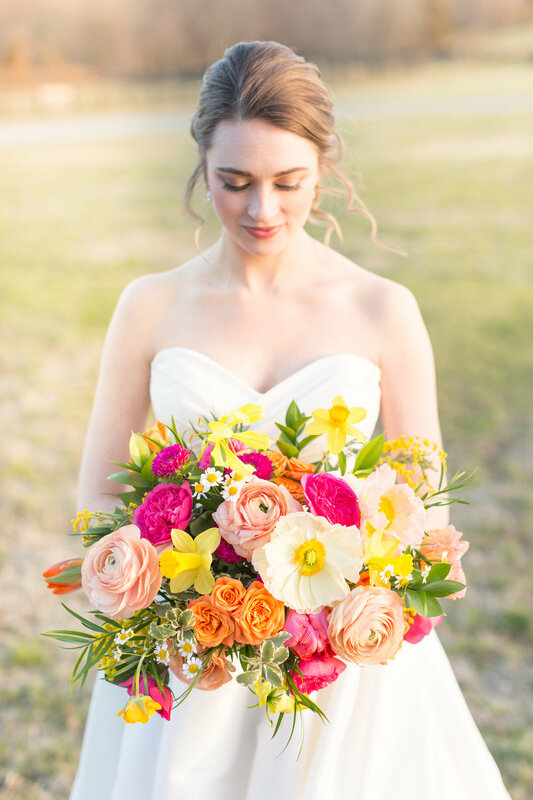 I gathered spring blooming poppies, daffodils, tulips, gloriosa lily, garden roses, ranunculus, and mimosa in these bright and sunny colors. When I found out Dublin the horse would be making an appearance, I knew he needed a flower collar. Doesn't he look handsome? 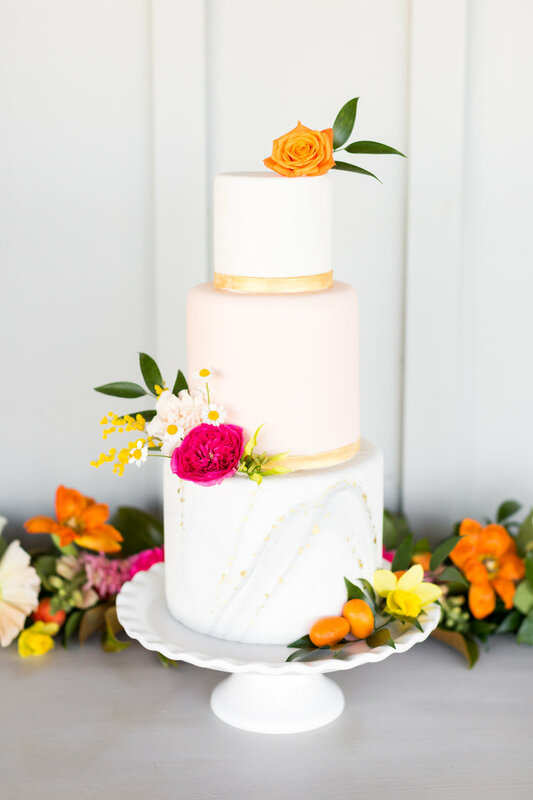 Every detail was carefully chosen. 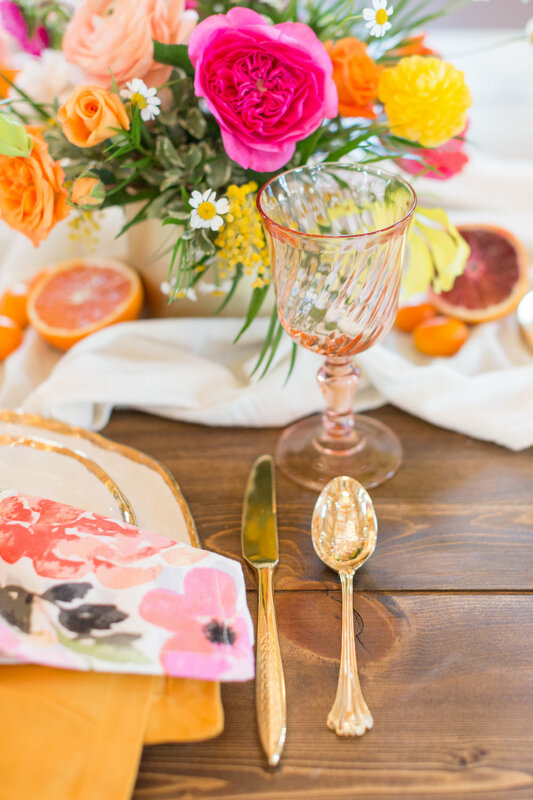 Golden equestrian and citrus accents reflect the setting and the season. Beautiful AND delicious food and drinks continued the theme. 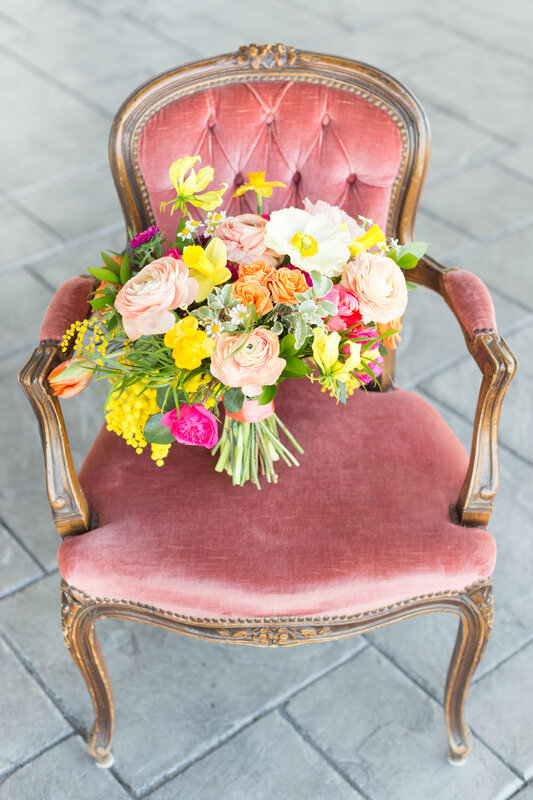 Vintage furniture rentals add comfort and style to any wedding. 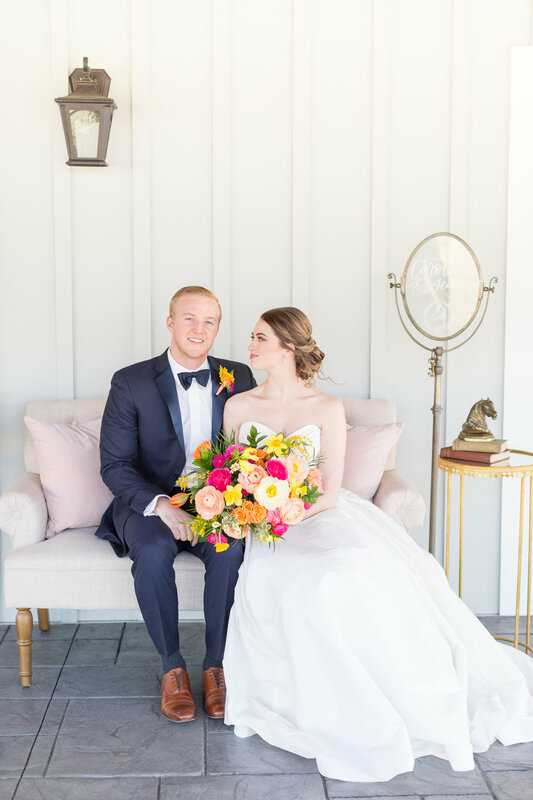 I am obsessed with this gold bar cart! I highly recommend every one of these participating vendors! 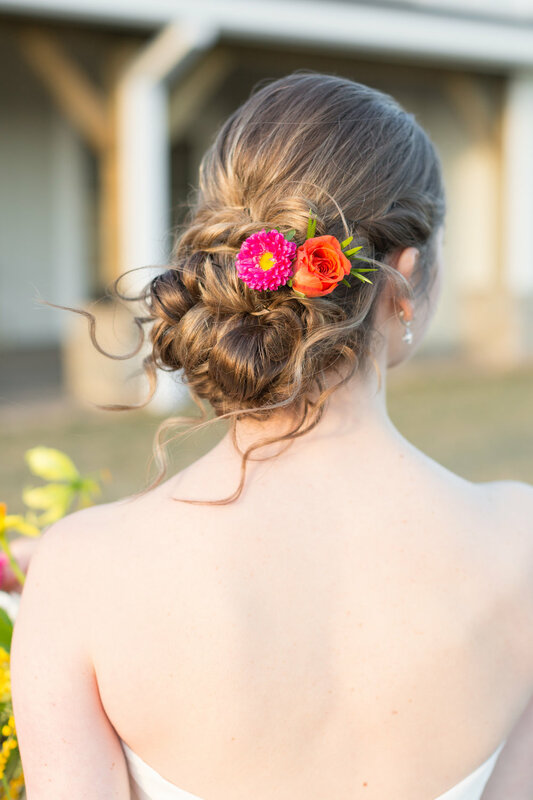 We hope to be back at the Middleburg Barn for a wedding this year!